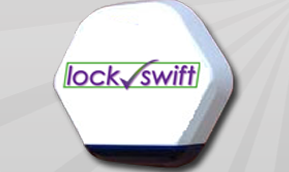 Welcome Lockswift are a local friendly locksmith services covering Haywards Heath and the surrounding areas. Contact me today for a friendly service. Access Control Systems Access control systems are important home and business security features and Lockswift will install an access control system at your home or business. Lockswift have bee installing access control systems for years and they have the technical knowledge and experience to help you select the system which is right for your requirements. Burglar Alarms Are you seeking to enhance the security of your home or business premises? Lockswift are your first choice for Burglar Alarms and we will install a state of the art burglar deterrent for you. Keep your premises safe and secure by installing a Burglar Alarm System. Burglar Alarm Systems vary in size and complexity, depending on factors such as whether it is a residential or business premise. Imagine the feeling of coming back from a week's holiday is sunny Spain and looking forward to getting back home, you open the front door and your house is empty, imagine that ! This prompts you to go in search of a Burglar Alarm System, but choosing the right one at the right price is not an easy task. The industry is full of jargon and a whole load of different systems to choose from. Intruder Alarms Lockswift have been happily providing you the customer with Intruder Alarms for the past 15 years. We install and maintain Intruder alarm systems for your home or business premises. We can offer you a wide variety of Intruder Alarm Systems to suit all your needs and budgets. I will personally deal with all your inquirers promptly and professionally. Once you are happy we will come round and meet you. 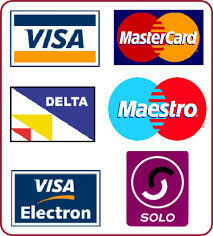 Whilst at your premises we will give your premises a full security survey. This survey can include every aspect of your premises security including Intruder alarm survey, information about any lock vulnerabilities and insurance requirements, possible use of door entry/ access control systems, security lighting. Intercom Systems If you require a system that can help you keep unwanted visitors out of your property Lockswift Intercom Systems are here to help and advise. Intercom Systems can be a very cost effective way of knowing who is at your door before opening it. You can have telephone/handset fitted anywhere in your property or you can have it linked to your mobile phone or landline.